April is National Child-Abuse Prevention Month. Every year, over 4 million reports of child abuse are made in the United States involving over 7 million children. This epidemic is affecting all races, socioeconomic classes and communities, and more resources are needed to prevent child abuse and help victims heal from the trauma they have experienced. April is National Child Abuse Prevention Month and highlights the important responsibility of families and communities to work together to prevent child abuse and neglect. Everyone plays a critical role in ensuring children are safe, protected and have the opportunity to reach their full potential. The most recent data on child abuse in the United States comes from the 2016 Child Maltreatment report which is analyzed, produced and released by the Children’s Bureau (Administration on Children, Youth and Families, Administration for Children and Families) of the U.S. Department of Health and Human Services. The report contains national and state statistics about child maltreatment and serves as a valuable resource for policymakers, child welfare practitioners, researchers and other concerned citizens. The greatest percentages of children suffered from neglect (74.8%), followed by physical abuse (18.2%). Children in their first year of life had the highest rate of victimization. More than half of perpetrators responsible for the abuse or neglect of a child were women. 64.9% of reports of abuse were made by professionals including teachers, police officers, lawyers and social services. A nationally estimated 1,750 children died from abuse and/or neglect. During the month of April and throughout the year, we encourage you to share our posts and join our efforts to stop and prevent child abuse and neglect in our neighborhoods, communities and across the nation. 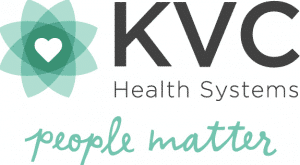 KVC works to prevent and heal child abuse and neglect and provides services in multiple states for children and families in crisis including in-home family therapy (family preservation), foster family support, adoption and more. We invite you to join us in this work by becoming foster or adoptive parent,volunteering, or donating.